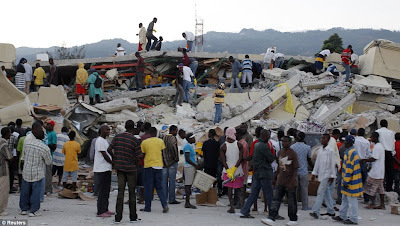 By this time, we have all heard about the horrible results of the earthquake in Haiti. Haiti is the poorest country in the Western Hemisphere. To add to the usual tragedy of a large earthquake, in this case most of the country's top doctors have been trapped and are possibly dead in a collapsed hospital. On top of that, there are many fires burning. A prison collapsed and many prisoners died; others escaped to terrorise the already traumatized citizens. Soon, untended wounds will become infected, disease will start spreading because of lack of basic hygiene and clean water - and the doctors and medicine have been destroyed. Only help from outside - from us - can save these people. This is just one picture. To see more, please go to The Daily Mail. The Sikh spirit of sewa in each of us wants to do something. Few of us can actually go there, but most of us can contribute a few dollars or rupees or pounds or euros. It is important to contribute wisely. Already there are many scams on the Internet. Please do not give to any organisation or group not known to you. 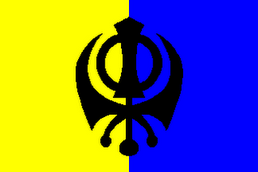 I have not yet found any Sikh organisations, so I will post two known to all of us as reputable international agencies. First is the International Committee of the Red Cross. Go here to donate to them. Another possibility is UNICEF. To donate to UNICEF, go here. Both of these are worldwide; you can donate from anywhere. 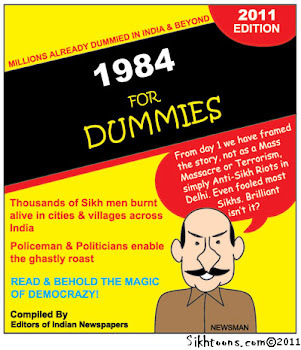 We Sikhs belief in helping all people in distress. Let us show that we do more than lip-service to this.